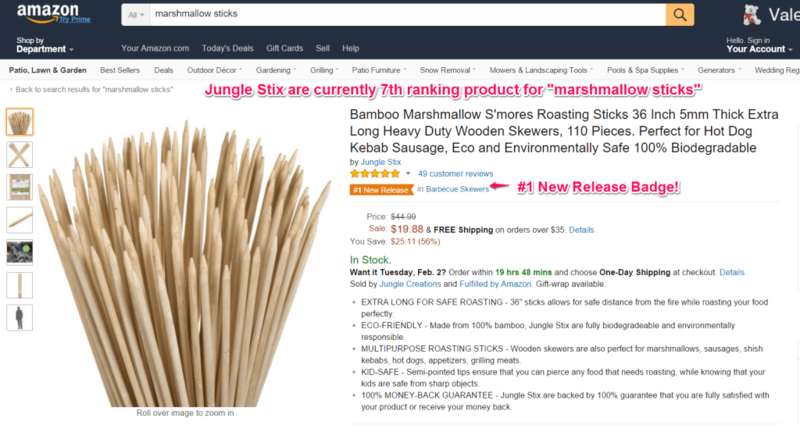 Today, our private label product, Jungle Stix, have arrived at the Amazon warehouses. Our listing is officially active and live, and we have already scored a few organic sales! While our listing is unoptimized with less than perfect product images (still just a quick cell phone quality photo), somehow a few customers have found the product and purchased Jungle Stix! Already generating profits to donate to non-profits, which is very exciting. We are still collecting votes for exactly which organization that will be, please be sure to cast your vote here (it takes less than two seconds). A quick update on shipping from our manufacturer in China: it turns out that Air Cargo was going to take 20-25 days, longer than initially anticipated. While Air Cargo is still less than Air Express, it is still significantly more expensive than Ocean Freight, and at 20-25 days en route, not much faster than Ocean Freight at all. Greg had already sent 100 units from China to Amazon (via his warehouse for quality control and inspection), and opted to send just 200 via Air Cargo, and the remaining 700 units by Ocean Freight. The rationale for this decision is that there would be enough inventory with the 300 units that arrive Air Express and Air Cargo, that it didn’t make a difference whether the remaining 700 units arrived Air Cargo or Ocean Freight. So why not save $2000 and have the last batch of the 1000 initial order arrive a few weeks later than initially planned, without any threat of running out of inventory? The one downside is that there is more paperwork and administrative work when going through customs and ocean freight, but well worth the cost-savings and therefore increased bottom line of profit. Greg used freight forwarding company Flexport to receive the shipment and send to Amazon warehouses, but there are other options, like Shapiro, Shiphaus, or FBA Forward. These companies do not do any product inspection, but simply receive the product from overseas, handle the paperwork, and send the product to Amazon warehouses. 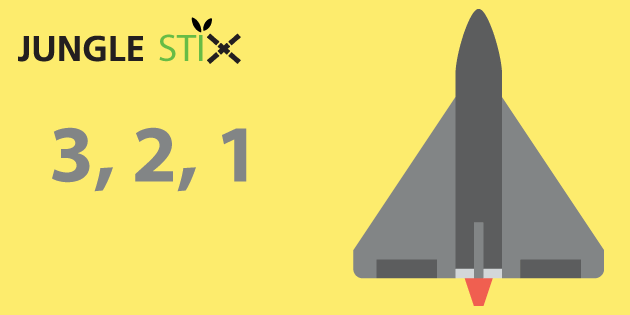 For this service, the 700 units of Jungle Stix costs $1200 via Flexport, but even so it is a significant savings from the alternative of Air delivery. The sale was for $27.99–after the cost of goods sold and the Amazon FBA fees, that is an 82% Return On Investment! That 82% does not account for taxes or future Pay Per Click fees. However, considering the cost savings with sending 700 units via Ocean Freight, the ROI will increase to around 150%, which will certainly allow us to generate some handsome proceeds for our non-profit organization. There is certainly some room for improvement here, with some better product images, and more of them. A quick note on the product listing: we included some small HTML to help with the formatting. This includes basically just a Bold font and some spacing. To be honest, this is a little but of a gray area so do so at your own risk. In Amazon’s downloadable instructions, they tell the seller they can add the break or paragraph tag, yet in other areas they say HTML in the product description is not allowed. We decided to go ahead and add these two HTML formatting items, which their system does not automatically remove. We guess that if Amazon begins to crack down on this, they will likely send us a message asking us to remove them which will be no big deal. There is still room for improvement here, we will continue to optimize the listing, especially as we see actual customer search queries once we turn on pay per click advertising. One of the most important parts to launching quickly and successfully is gaining momentum with early sales, and gathering reviews. Why? Well when you launch a product listing, you are starting from the bottom. Your listing won’t rank favorably in Amazon’s algorithms and the main factors that come into play to improve your rank are sales history and sales velocity. One thing that really helps to increase your conversion rate (the percentage of people who visited your listing and then bought your product) is social proof in the way of product reviews. Reviews in ecommerce are a huge factor in the decision-making process that many consumers rely on. So as a seller, the more reviews you get, the higher your conversion rate, and the higher your sales velocity. Simple! A super easy way to get those early sales flying in is to use promotions or coupons to offer your product at a deep discount for a week or two. You can set this up using Seller Central and a deals marketplace such as Jump Send, which has thousands of ready-to-buy discount shoppers. This is an upfront investment, as you may break even or even lose money on all of these initial sales due to the discount. You need to view this as a good investment for the future of your product and product listing. The great thing about Jump Send is that it has plenty of features that will help you, the seller, to safely earn those sales without breaking any rules, and without risking any adverse affects like a customer wiping out you entire inventory. Sellers can approve coupons: You can approve or auto-approve all coupons, so you can control the amount of coupons you give out, and you can end the promotion any time! Inventory Protection Feature: There’s a really useful inventory protection feature, which, when used, prevents shoppers from being able to buy all of your inventory at once. Peace of mind! Follow up with some automated customer service: Jump Send is also the most robust automated email tool in the Amazon space. This means that you can excel at customer service and send targeted follow up emails to all customers. It’s all entirely automated, so you only have to set it up once. The best thing is: it’s still OK to email customers and ask for feedback and reviews, so long as you never require a review or actively canvas for positive reviews. Asking for an honest review to support your business if the customer feels like they have something to say about the product is allowed. Everything is strictly within Amazon’s ToS: We know that a lot of sellers became worried about giving out discounts and coupons when Amazon changed the rules on incentivized reviews. Fortunately, Jump Send is 100% within the latest Amazon TOS, and will not put you at risk of getting in trouble with Amazon in any way. Our Jungle Stix are currently being photographed by Robert at Product Photography. We have discussed a few possible shots that would emphasize the size, quality, and various use cases for Jungle Stix, and we will certainly share the photos as soon as they are live. After we update the product images and get some initial sales and hopefully reviews, we will initiate the Amazon pay per click campaigns, and hopefully increase our organic sales in tandem. I’m a new seller from the UK. However, when I search for the product I would like to launch using Jumpsend, the search bring no result for that product. My question is, would it make sense listing this product on Jumpsend as I would be the only person with that product listed? And, would anyone be searching for that deal? When you list on Jump Send, it’s not like Amazon. 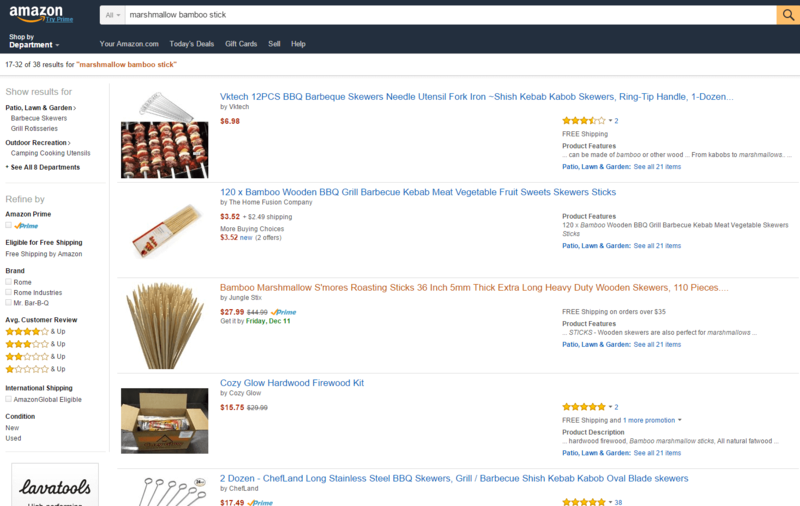 You create your own listing based on your Amazon product entries. And yeah… most of the people who buy on Jump Send do searches by the price point more than anything. So if you’re low enough, people will buy from you. Is Jumpsend available for UK sellers? Does Review kicks can sends a feedback email to every customer that buy my products ? Like Sales backer or feedback genius do it ? Apologies for the delayed reply, but just want to clarify that yes, Review Kick does send a feedback email to every customer–you can customize the message, appearance, and timing to whatever you like (ie send when your order is confirmed, when it is shipped, two days after your customer receives it, etc). Each plan also allows you unlimited promotions to Review Kick’s reviewer base, and you approve all promotions you give away. If you have any questions, please don’t hesitate to email [email protected]. Hope this helps! Thanks for the awesome series, it’s been truly inspiring. It’s been a couple of months now, it’d be great to hear how things have been going to wrap up the series? guys your site is very valuable and you really give really useful info BUT THE QUALITY OF RECORDING IS NOT VERY GOOD. Can you address that please? Greg – No idea you were an Auburn guy – War Damn!!! Thanks for the videos – sending in my first product this week and catching up on some I missed. Thanks for the “training” videos. I enjoyed them a lot. I’m very happy to find someone who make this clear and transparent. My question is, can I sell my products (of course from China) on US market if I Housed in Europe (Slovakia)? Or I’m eligible to sell just on European market? Can we use the new single codes on this site ? Yep! Review Kick only accepts one time use coupon codes. These protect the seller from losing their inventory. How do I offer all five sizes of my product? The software won’t let me use the parent ASIN#. Great series, Iv’e spent the last two days watching all 6 videos. I have received some great ideas on how to further promote a product that I am manufacturing as well as look for new opportunities. I do have one question about discounting products on Amazon. If your marshmallow sticks are deeply discounted to $1.99, how does that effect the fees that you pay to Amazon? Keep up the good work and I look forward to future videos. Matt, good question…the FBA fulfillment fee (includes pick & pack, weight handling, etc) will be the same, however the referral fee (example. 15% of sales price) will be decreased to the discounted price. I’m wondering if you could explain how you handled the company (Jungle Creations) and brand name (Jungle Stix) that you’re using. Did you create a company and FBA account just for this product? I’m asking because I want to set up my new FBA account so I’ll be flexible for the future since I don’t have a clear niche yet. Thanks! The webinars and modeling of this process have been incredibly helpful! Good question – Just name the company anything, it doesn’t really matter. “Dan’s Awesome Products” would be fine. This is just the name of the company that happens to be selling your brand. The brand name is totally separate. “Dan’s Awesome Products” could sell dozens of different brands. Hopefully this clears it up 🙂 Glad you’re enjoying the webinars! Hi there, is there a Review Kick version in the UK? Unfortunately we don’t have a UK version yet. We would love to expand there in the future! Hi, I’m curious as to how this works. I understand that you need to have at least one existing review in order to have a verified Review Kick Account. I’m still sourcing product, so I’m not yet ready to sign up. Hopefully it will still be free when I’m ready (in the new year). However, I am a bit confused as to how this works. 1) The deals don’t seem to be in any order, i.e. no categories which means anyone looking for a deal will have to troll thru all the listings. Categories would make this process a lot easier and more user-friendly for the customer. 2) how do we actually get our product to the right target audience? How do they find us? I’m reassured to know that this is not against Amazon’s TOS, but would like a more clarification on how this actually works. Of course, happy to answer any confusion…. 2. Are you referring to Amazon or Review Kick when you are asking about finding the right target audience. Assuming you are referring to Review Kick, we are actively recruiting as many reviewers as possible (specifically those with high rankings as Amazon reviewers), and these reviewers understand the agreement, that they will give an honest review in exchange for using the coupon code and receiving the exclusive discount. We enforce that all reviewers will state that they received the product in exchange for a discount, and were not compensated in any way in order to leave a review. Hope this helps, please let me know if you have any additional questions. Definitely a filtering system will add value to the site. Sort by category, % off or dollar value to name a few. Also, there should be a way that the “brand” can nudge the reviewer of inform you that a review has not been given. Maybe the brand would, after a predetermined time period, would be able to give a thumbs up or down to whether or not the buyer left a review. An automated email would be sent to the buyer depending on the thumbs up or down. Maybe after a few more days, the brand would be able to repeat the process and then one more time…maybe after a total of 14 days. If still no review has been given, then maybe a warning, suspension or ban should be put into place. I think it’s a great website for new brands. Just something to think about. Thanks Matt, great points all around. You are absolutely right that a brand and seller should be able to have certainty that a discounted product offer resulted in an honest review. It is the policy of Review Kick that for every discount purchased, an honest Amazon review will be given, and we have found great success with that so far! Thanks for the helpful comments, Matt. I noticed the price is showing as reduced from $44.99. If this is a new product, how can this be? I noticed that you used HTML for the product description. Isn’t this against Amazon policy to use HTML? Also, is it possible that the HTML may decrease the optimization of the listing?